Banding Together! 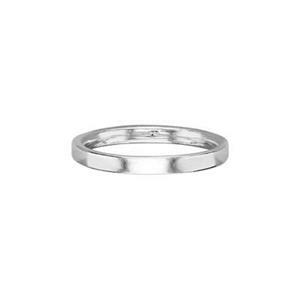 Our SR225 – Size 5, Narrow 2mm Bright Sterling Silver Ring Band for making Stacking Rings. Solder simple design elements as focal points on these Finger Rings or saw them to create shanks to accommodate inset stone settings. These are seamless, cast rings. You may also be interested in our Silver Jewelry Settings. I purchase these often in every size and they are never consistent in the sizing. If the ring says size 5, I would love it to be a 5 but it's usually a 5.25 or larger. I love the ring, but this makes it difficult to make made to order by size rings. ***** Customer Service Response***** Hi Holly. Since these rings are cast there will be a discrepancy in sizes. Sizes will vary +/- by half a size. We offer a refund within 30 days of your purchase so please contact our Customer Service Team toll-free at 800-528-0535 and they'd be happy to help. Thanks for your comment!